– We provide 12 inch or larger Triploid Grass Carp for $12.00 per fish. (We guarantee our fish for 72 hrs. post stocking) If there are mortalities within this time period that are over 5% of the fish stocking total, we will replace those fish at no charge to the customer. We will discuss the guarantee during the order process. 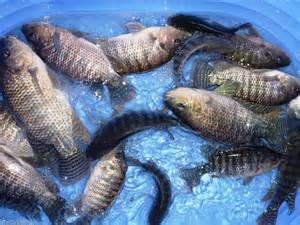 – Tilapia are normally stocked at rates ranging from 100-300 fish/surface acre depending on the size of the fish and the amount of algae/duckweed infestation in the pond. Tilapia cost approximately $0.90/fingerling for a 3-4 inch fish and $1.25/fingerling for a 4-5 inch fingerling. Fish are available for stocking from April 1st to June 1st for best results in controlling filamentous algae and duckweed. Tilapia will spawn about every 30 days from May-October. Since tilapia are heavy spawners, they provide an excellent sized fish for largemouth bass forage. Stocking rates for forage stockings are similar to the stocking rates for filamentous algae and duckweed control. If you have questions or need further information on the use of tilapia in ponds for either algae/duckweed control or as a forage fish, please give me a call. All of our contact information is located in the reach us tab. Have an amazing day!